Student Care: With our excellent ratio of 1 staff to 2 students we ensure the children are well taken care of, supported throughout the course and that their educational needs are met. What's Included in the Cost? 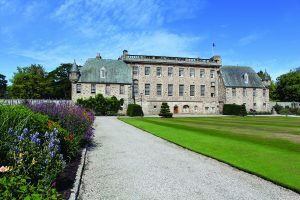 It is the responsibility of parents to make the travel arrangements for each student to reach Gordonstoun. We strongly recommend that all younger students travel as ‘Solo Flyers’ or ‘Unaccompanied Minors’ and parents should arrange this when purchasing air tickets. Students will be met at Inverness or Aberdeen airports. We do have representatives at the London Airports but due to security arrangements, our escorts cannot proceed past the check-in/immigration desks. Unless you are confident that your children are able to change flights and perhaps terminals with no assistance – please register them as UM’s. London airports to Aberdeen and Inverness. Amsterdam to Aberdeen and Inverness. Some other UK airports, for example Manchester and Birmingham, also have connecting flights to Aberdeen from some major international airports. Students will be accommodated in the school Boarding Houses where they will be guided and looked after by house-masters, house-mistresses and resident assistant staff. There will be no smoking or drinking of alcohol as this is contrary to the educational aims of the course and GISS policy. 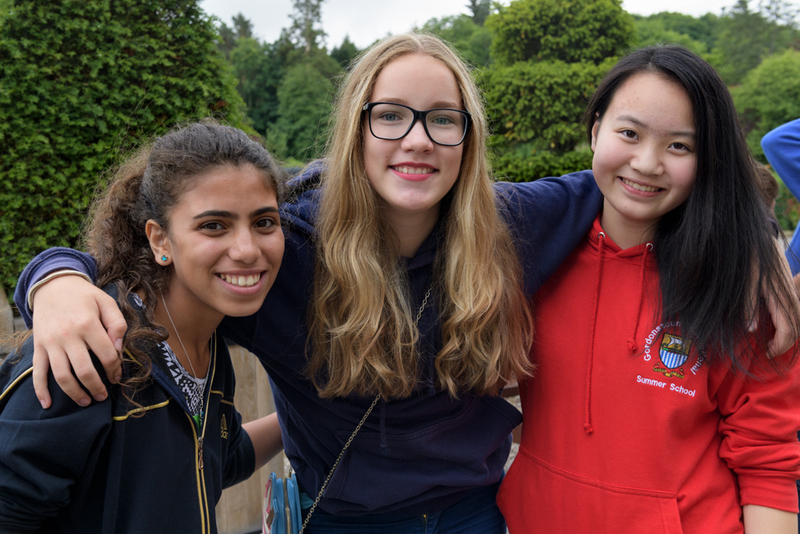 Great emphasis is placed on ensuring that all students have a happy and fulfilling time while they are at Gordonstoun. Students in the Boarding Houses are able to relate well to the resident staff and to share concerns as necessary. Friendships grow amongst the students as a result of this family atmosphere. Throughout the programme both within the formal activities and at leisure, our staffing ratio of one member of staff for every two students ensures a high level of personal attention. Food for the course has been planned by an expert dietician to provide a balanced diet suited to the needs of all students. There is a great deal of choice and alternative dishes will be available for vegetarians and students with medical or religious requirements. Gordonstoun’s Catering Manager has personal supervision of all the catering arrangements for the Summer School in the School’s beautifully appointed modern refectory. Casual, comfortable clothing for summer time in the UK is required. 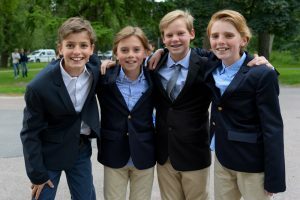 Dress throughout the day will be informal except for the Summer School photograph and final dinner, which will require a shirt & tie with smart trousers for the boys and equivalent for girls. Footwear – at least 3 pairs of shoes/trainers for indoor and outdoor wear, trainers for sports (white soles if possible) and a strong pair of trainers for adventurous activities. ALL CLOTHING SHOULD BE NAMED Students are asked to look after their belongings carefully. Every attempt is made by house staff and assistants to help with this, however, where losses occur, it is not possible for the School to accept responsibility and personal insurance is advisable. The School’s Healthcare Centre is fully staffed by our qualified nursing team throughout the GISS courses. A doctor will be available throughout the whole of the Summer School. The weather in Scotland in July/August has an average temperature of 16-18°C (62°F) and often reaches 25°C (72°F) or more. These months are regarded as probably the best two months of the year in Scotland. Students are allowed to bring mobile phones with them although bringing expensive items is discouraged as we have an Internet Cafe. However, we have a strict policy that they be turned off during all lessons – if a student is found using a phone or other device during a lesson, it will be taken away and given to their housemaster/housemistress until the evening – this will also apply if a student is seen to be using their phone or device excessively. Students are encouraged to carry out their devotions as at home. There will be church services locally for different Christian denominations including Roman Catholic, Anglican and Presbyterian, for those who wish to attend. A prayer room for Muslims is also available.